You’ve Got Ques­tions, We’ve Got Answers! We know there are a mil­lion ques­tions that come up when plan­ning a wed­ding. No mat­ter where you’re at in the process, there will always be more ques­tions that pop up when you meet with a new ven­dor, a rel­a­tive gives advice, or some­times even your guests will have a ques­tion. 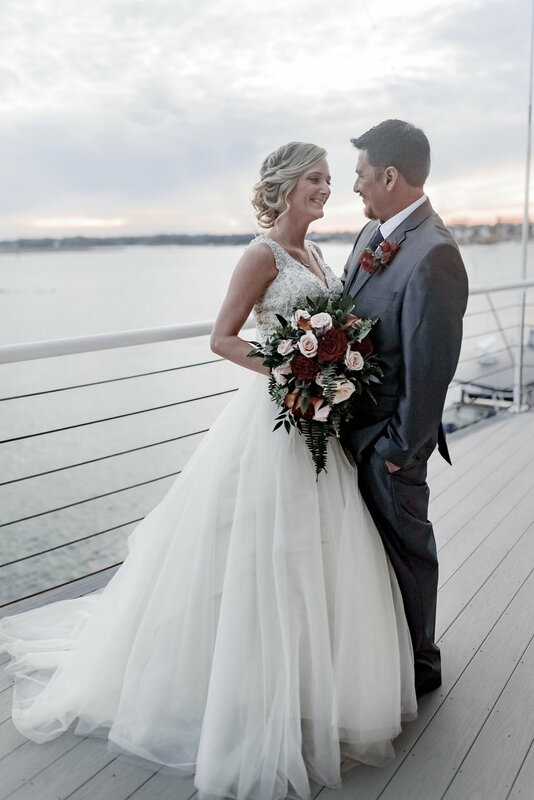 Here at Lesner Inn, we try to answer them through­out the plan­ning process, but we’ve also come up with a list of our most fre­quently asked ques­tions! Happy read­ing! Can I have a tast­ing of my menu before my event? Absolutely! Tast­ings are included for the cou­ple but, cost $30 per per­son for any addi­tional per­sons. Tast­ings include your choice of 4 appe­tiz­ers & 3 entrees. Our chef requests two weeks’ notice for tast­ings & we typ­i­cally host them Wednes­day – Fri­day. Week­end tast­ings are based on our event sched­ule & our chef’s avail­abil­ity. Do I need to get a plan­ner or a day of coor­di­na­tor? Is that what my venue man­ager does? Your venue manager’s main focus on the wed­ding day is the food, bev­er­age, & venue. She will make sure that every­thing is run­ning smoothly on the cater­ing side as well as mak­ing sure every­thing in the build­ing is stocked & pre­pared cor­rectly for your event. 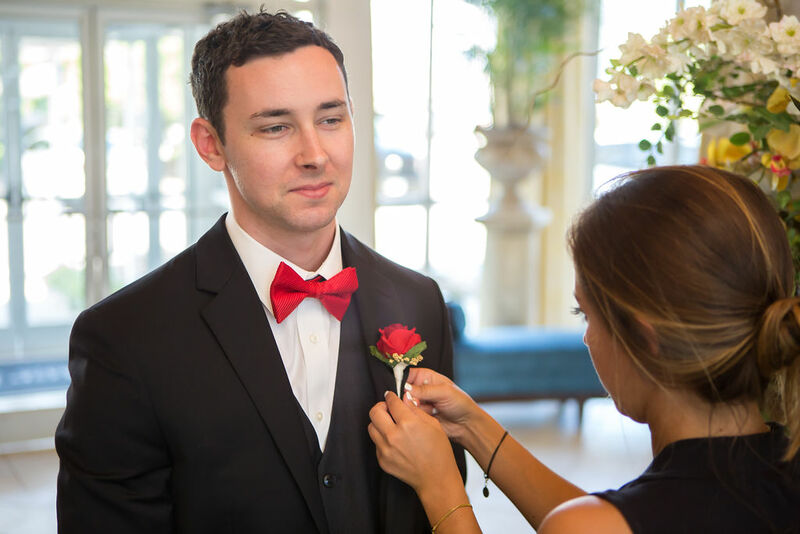 We rec­om­mend hir­ing a plan­ner or day of coor­di­na­tor to help you with the details of the day as well as mak­ing sure your cer­e­mony runs smoothly. 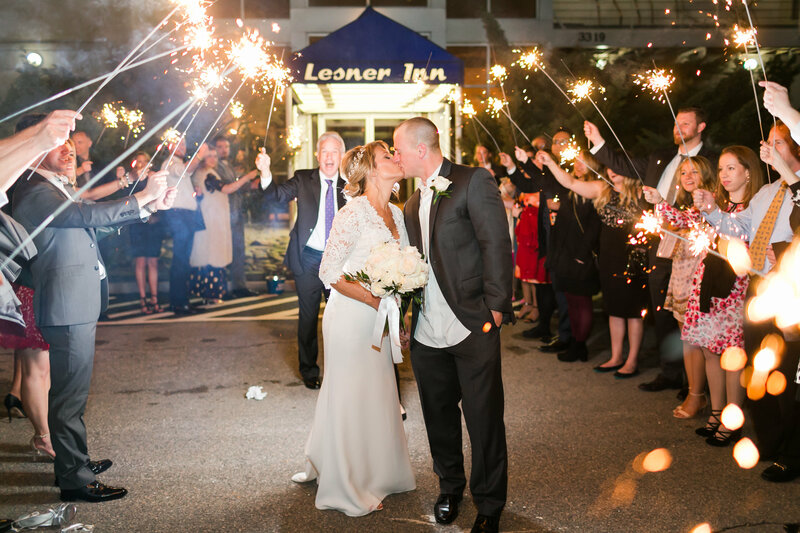 Lesner Inn has an in house day of coor­di­na­tion ser­vice that can be added to your con­tract as late as your 90 day meet­ing. Trust us, you won’t regret hav­ing some­one to assist you on the big day! Do I need a wed­ding hash­tag? No, it is not nec­es­sary. We love when cou­ples cre­ate their own per­sonal hash­tag so that they can see pho­tos that guests take at their event but Lesner Inn also has a hash­tag. Fol­low #lesner­in­nwed­dings for lots of wed­ding inspi­ra­tion! Also make sure to fol­low us on Face­book, Insta­gram, & Pin­ter­est. Why can’t I sched­ule my rehearsal until 2 weeks before my wed­ding? Lesner Inn hosts nearly 150 events a year & we try our best to make sure each cou­ple gets the time frame that they want for their rehearsal. Unfor­tu­nately, we can­not guar­an­tee a time until two weeks prior to your wed­ding. We do accept last minute events, so we must keep our sched­ule open until two weeks before your event in order to best fit the needs of all of our clients. Fear not though! Rehearsals are very easy in our cer­e­mony spaces & can be repli­cated in another space if we can­not accom­mo­date your ideal time frame. What do I do if I have a last minute guest addi­tion? Let your event man­ager know ASAP. We need your final guest count two weeks prior to your event & any addi­tions after your final meet­ing will incur a $50 late fee. Some­thing has come up & we need to move or can­cel our event. What do we do? Let your event man­ager know ASAP. We under­stand that things hap­pen & some­times every­thing doesn’t go as planned. How­ever, there is a can­cel­la­tion fee & a date change fee since your event was block­ing us from book­ing that space & time. Please see your cater­ing agree­ment for more infor­ma­tion regard­ing these fees. Do I need to tip the staff who will be work­ing my event? What is the 20% ser­vice fee? The ser­vice fee pays for the hourly wage of ALL staff work­ing your event – dish­wash­ers, prep cooks, chefs, bussers, food atten­dants, park­ing atten­dants, man­agers, etc. Tip­ping is entirely optional, but it is a nice way to acknowl­edge & thank the staff who worked your event. Either way, we will divide the money left at the bar & dis­trib­ute it to the bar­tenders, food atten­dants & bussers. Do I need to do any­thing after my event? Relax! Wed­dings are a lot of work & you deserve a break. Once you are ready to tackle your to-​do list, the first thing you need to do is send thank you notes & write reviews. Thank you notes should go to any­one who gave you a gift, helped with wed­ding prepa­ra­tions & to your ven­dors. You should also hop on The Knot, Wed­ding Wire, Face­book or Google & leave a review for your ven­dors! Think back to when you were book­ing your own wed­ding & all of the reviews that you read to help you make your deci­sions. Leave one about your expe­ri­ence too! Why do I have to make place cards for a plated meal? For a multi-​entrée plated meal, we will need you to pro­vide place cards for each guest so that our staff knows who will be get­ting which meal based on the sig­ni­fier (Ex. “F” for fish or “C” for chicken in the bot­tom cor­ner of the place card). We request that all meal sig­ni­fiers be on the front of the place card so it is eas­ier for our event staff to read. We will also a need a break­down of which meals go to each table to help expe­dite ser­vice in the kitchen. (Ex. 4 chicken & 5 fish at Table 1, 6 chicken and 4 fish at Table 2, etc.). Am I lim­ited to two meet­ings after my book­ing? No, you are more than wel­come to call or email us with ques­tions you may have about your event at Lesner Inn. The two meet­ings are based around your pay­ment sched­ule to make your life eas­ier dur­ing the plan­ning process! Our office does oper­ate by appoint­ment, so if you know that you will be in town and would like to come by, please make sure to call ahead. Yes! We love sparkler exits but request that they only occur out­side of the build­ing & not on the docks. Many of our cou­ples use the park­ing lot on the side or in the front of the build­ing for their sparkler exits. Please make sure to bring a bucket of sand or water to extin­guish the sparklers. Do I have to use the ven­dors on your list? In short, no. We only require you to use Lesner Inn for all of your food & bev­er­age – with the exclu­sion of your dessert. We under­stand that is a spe­cialty cre­ation! We do like to pro­vide you with a list of pre­ferred ven­dors because these are trusted pro­fes­sion­als that we truly enjoy work­ing with & know you will too! There are lots of other great ven­dors out there though & we are always excited to work with some­one new.